These instructions are for Cubase but should also apply to other VST3 hosts. 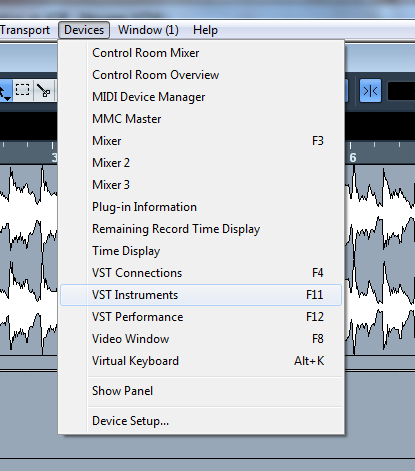 In Cubase select the Devices -> VST Instruments menu item. 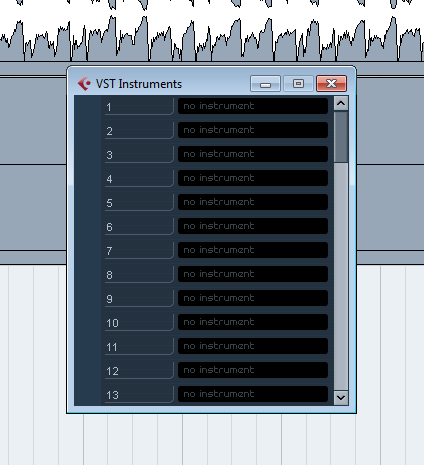 The VST Instruments dialog will be displayed. Select one of the entries in the dialog and a menu will be displayed showing the available instruments. 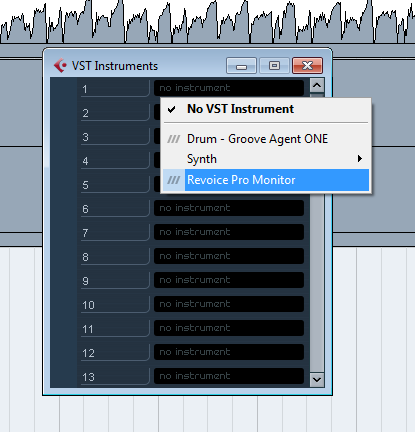 Select Revoice Pro Monitor. You will be asked if you want to create a MIDI track you can select Cancel. The Revoice Pro Monitor will be displayed in a window. In Revoice Pro check that the monitor button is enabled. 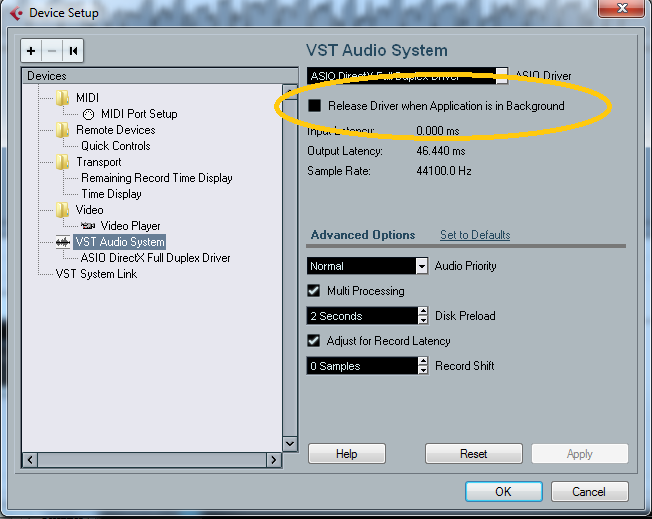 In Cubase check the Release Driver when Application is in Background option is not checked. If this option is checked when you try and start playing from Revoice Pro the operaiton will fail because Cubase is in the background. 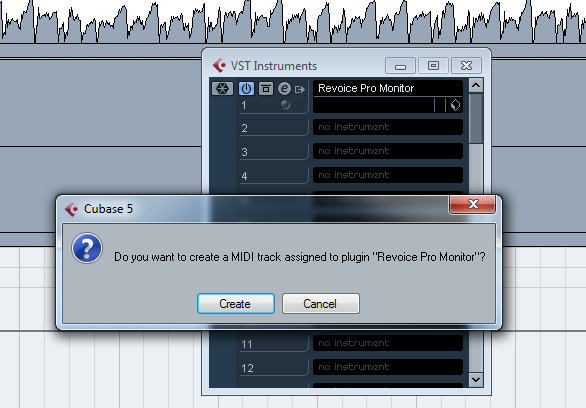 You should now be able to start playing from Revoice Pro or from Cubase.